WSB | Sampson Davis, M.D. Sampson Davis is an infectious, compelling storyteller that all should hear. 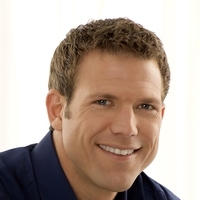 His true rags-to-riches journey leaves audiences inspired and filled with motivation. 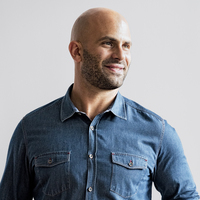 Growing up in one of America’s toughest cities, he made the transition from life-threatening quarters to a highly sought-after professional speaker, best-selling author and specially skilled, life-saving physician. Sampson Davis’ life began as one of six children, raised by a single mother in Newark, NJ. As a youth, Davis was a good student, able to strike the fragile balance between being smart yet socially acceptable. It was this combination of skills that proved most critical to his survival. Still, Davis wasn’t perfect, and as a teenager he succumbed to peer pressure and found himself spiraling out of control, reaching deep depths of hopelessness and despair. It was during this period that Davis turned his life around, allowing education to serve as his escape. One day in high school, he and his two best friends took an unconventional stance and made a promise to one another to become doctors. A decade later, the pact was fulfilled and he now bears the title of doctor. Davis’ riveting presentation will move you from your seat. He will inspire you. He believes we all have the ability to shape other people’s lives. It is that investment into humanity that will produce a community filled with hope, love and insurmountable achievement. Davis has written about his journey in his New York Times best-selling books The Pact (2001), We Beat the Street (2005) and The Bond (2008). His life story has been made into a documentary appropriately entitled The Pact, and is available on Netflix. His latest book, Living and Dying in Brick City, is an in-depth exploration of the health care crisis and medical issues facing communities. Today, Davis practices medicine and travels the country sharing his story, speaking on education, health, community, motivation, perseverance and the pact. He is living up to the title bestowed upon him by Oprah Winfrey as "The Premiere Role Model of the World." As a practicing ER physician, Dr. Sampson Davis focuses on steps needed so one doesn’t land in the ER. He speaks candidly about health issues plaguing our communities and addresses firsthand the preventative measures required to defeat diabetes, obesity, hypertension, cancer, prescription drug abuse, heart disease and much more. His speech embodies the philosophy, “an ounce of prevention is worth a pound of cure.” Dr. Davis has chronicled these important health issues in his book Living and Dying in Brick City. He addresses ailments ranging from common medical issues to the most life-threatening circumstances. How to I avoid the common cold? How do you treat the flu? Should I get the flu shot? Should I vaccinate my children? How can I recognize an addiction? Where do I find help? How do I tell my family? What is depression? Is there a stigma? Why is it important to seek medical help? When should I have a mammogram, a colonoscopy, a heart stress test and a check-up? As the first member in his family to attend college, Dr. Sampson Davis speaks candidly about how education saved his life. Aiming to become “the Michael Jordan of education,” Dr. Davis inspires high school, college and graduate students alike to remain steadfast in their pursuit of academics. Referencing stories from his best-selling books The Pact, The Bond and We Beat the Street, Dr. Davis will inspire all students in their pursuit of academic achievement. His blueprint toward higher education has served as a resource for community-wide reads, grammar school and high school assemblies, college first year experience lectures, college-themed talks and commencement speeches. Success—what does it look like? How does one achieve it? Dr. Sampson Davis speaks adamantly about success. The first necessary step is to seek out like-minded friends to form a pact. When pursuing a goal, it is vital to have a team approach. This solidarity helps to drive you and keep one motivated especially during moments where you want to give up. We all need a muse. Show me a successful person and I will show you his successful circle. The pact approach is what saved Dr. Davis’ life, when he and his two friends made a promise to each other to become doctors. This oath pushed him beyond his conceivable limits. He never realized he could reach such heights but knowing he was going to be held accountable served as motivation. Simply, he didn’t want to disappoint his two friends. If we are able to form pacts across the country towards a common goal, then we can begin to achieve insurmountable success. His story of overcoming unfathomable odds is chronicled in his New York Times best seller The Pact. In this motivational speech, Dr. Sampson Davis speaks about growing up in one of New Jersey’s poorest cities, and his journey toward becoming an emergency medicine physician. With stories shared from his latest book, Living and Dying in Brick City, Dr. Davis explains how his city earned its nickname—Brick City. It is the grit and toughness of Newark that allows such a moniker to be born. His story is an inspiring one filled with dramatic details and anecdotes. He also explains how these issues complicate healthy life options that are further strained by an under supply of health care providers and facilities. 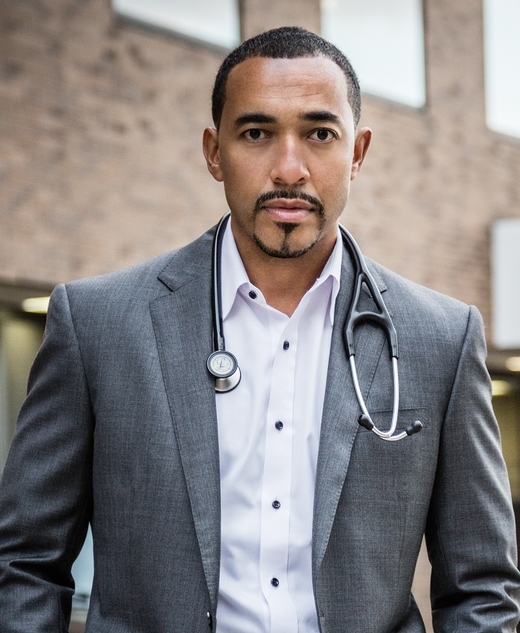 Through riveting personal and medical stories, Dr. Sampson Davis provides a never-before-seen look at health care in America, presenting not only the issues but also the complicated lives behind the statistics. Dr. Davis also looks at the ACA—how it may draw more doctors and nurses to return to abandoned areas of America, while technical barriers keep many patients form even signing up. Dr. Davis shares stories about the health care industry and how it personally affected his family. His father, diagnosed with prostate cancer and Alzheimer’s, turned to him to guide him through the stages of the health care system. Regardless of life circumstances, Dr. Sampson Davis believes wholeheartedly we all have something to give. Everything from paying a kind word on an elevator ride to saying good morning to a stranger, we have something to offer. This process of giving back not only impacts the person receiving the gift but also allows you, as the giver, to feel good about yourself, about life. It is vital to give back. It is one of life’s most precious gifts that often goes unused because so many of us don’t give it an opportunity. In the process of helping someone else, you may change your own life in redefining your purpose. Further, Dr. Davis believes it is important to know who you are as an individual. Believe in yourself and stand firm in defining yourself. Not everyone will embrace who you are and that is okay. We call such individuals “haters” and they are extremely successful at their job of hating. So allow haters to hate while you, as a “believer,” believes. Dr. Sampson Davis strongly believes we all have a dream. But what happens when the dream is interrupted or comes to a halt. How does one bounce back? How does one believe it is possible to achieve the unimaginable? In this speech, Dr. Davis will inspire all to remain vigilant in the pursuit of their dreams. Giving up is not an option. Work with what you have in place and believe you can make it happen. Dr. Davis will share his obstacles and pitfalls and how he never allowed his dream to be deferred even when faced with sure defeat. He will share the struggles he faced along the way. A college professor once told him to switch majors and that he wasn’t cut out to be a doctor. He dealt with personal tragedies in his family, from addiction to watching his sister lose her life to a health battle. Dr. Davis remained firm in knowing he could achieve success and it was his sister’s fight for life that inspired him to keep pushing.